This statistic breaks down album shipments in the United States in 2018, by type of delivery. 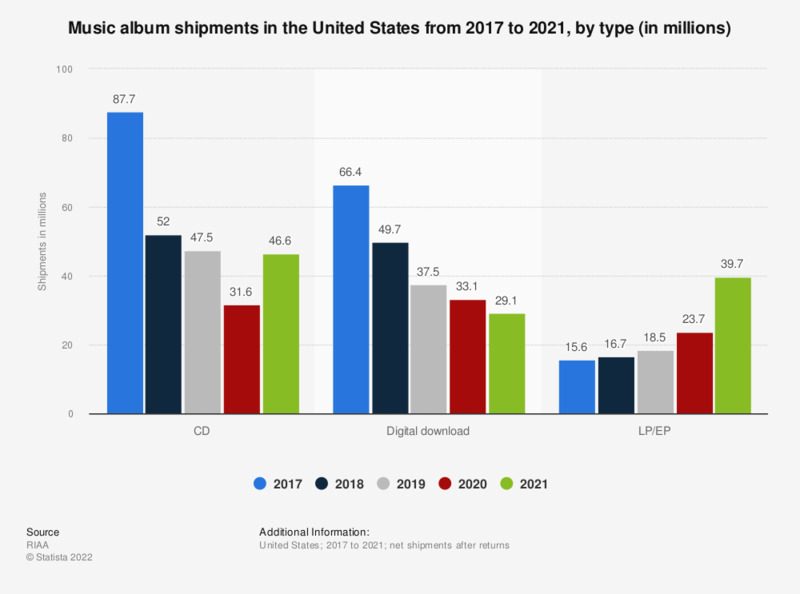 In that year, 52 million CD albums were shipped in the U.S. and 49.7 million albums were downloaded. These figures are both down from the 2017 shipment numbers, however shipments of LPs and EPs grew from 15.6 to 16.7 million.